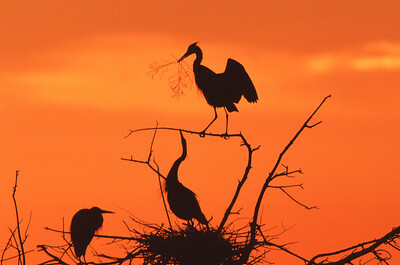 Over a period of three years starting in early March, I had the privilege to watch and photograph the mating and nest building of upwards of ten families of Great Blue herons at a reservoir near my home. 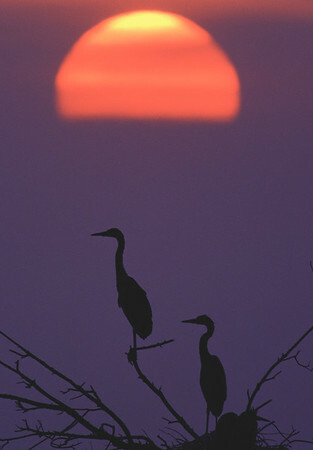 The distance to the heronry from the nearest shore was over 200 yards. 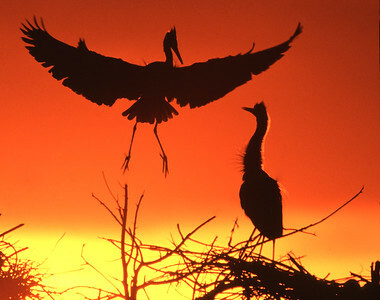 Because of the extreme distance, and the need to combine multiple telephoto lens extenders, I shot all photographs in silhouette. 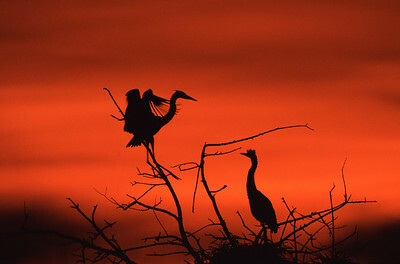 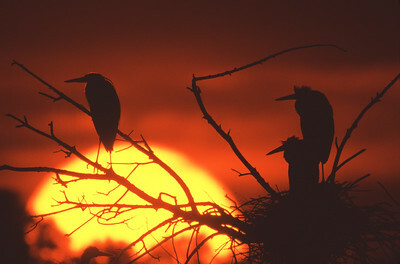 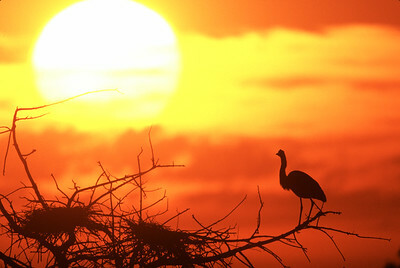 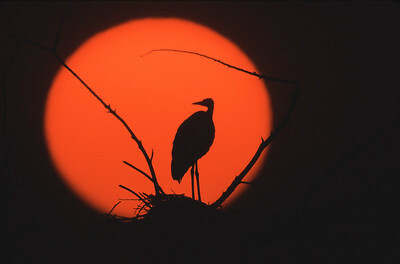 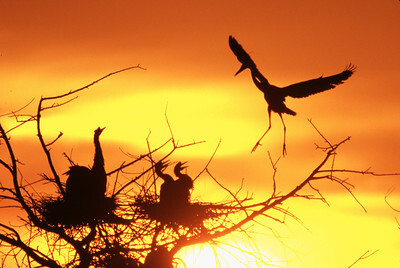 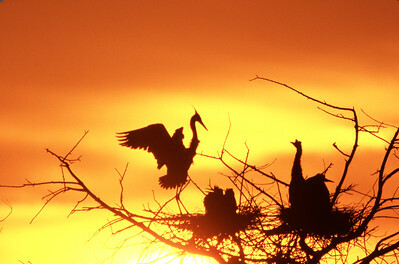 I think the silhouettes show the drama and grace of these beautiful birds. 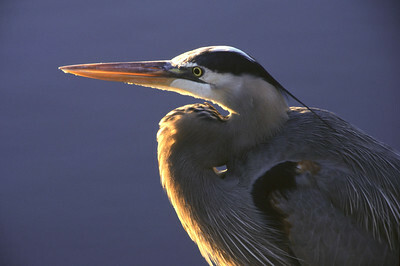 Great Blue Heron at heronry performing presentation behavior to female. 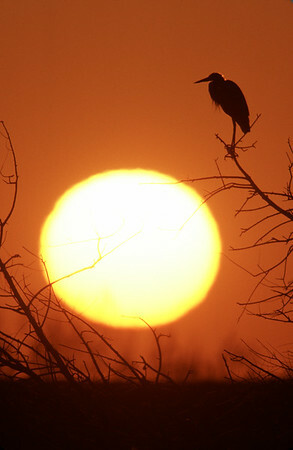 Great Blue Heron heronry Main Reservoir, Lakewood, Colorado, Heron perched in silhouette at sunrise with bright orange sun rising in the background. 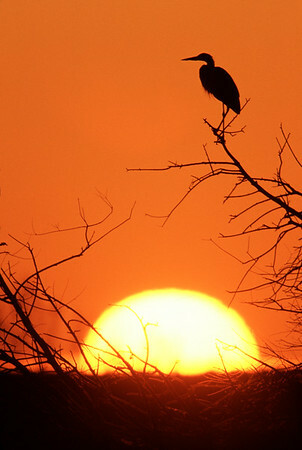 Space for text and caption.